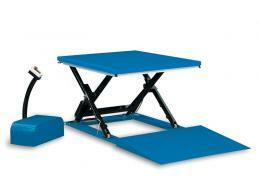 Bending and working on heavy palettes that are located on the floor can cause injury to employees. 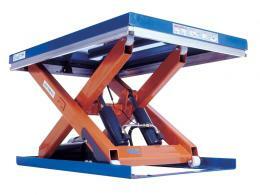 Scissor lift tables alleviate that problem instantly and effectively. These heavy-duty lifters help meet the requirements of the Manual Handling Regulations 1999 that state employers must eliminate any sort of risk to employees through their manual handling of different types of work on the job. What was once a burdensome and potentially harmful endeavour, such as lifting palettes, moving boxes to different heights and between warehouse storage shelves, is eliminated. 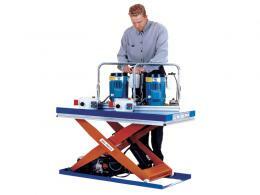 The scissor lift table can also double as a workspace. Its flattop and adjustability makes it a good temporary place to look over documents, review orders or anything else that may be of assistance. 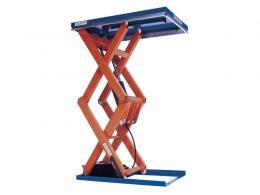 Warehouses, factories and fulfilment centres will greatly benefit from our assortment of scissor lift tables. We offer a variety of options that help with the loading and unloading of heavy cargo run smoothly. Our loading bay and split level lift is excellent for shipping & receiving areas where trucks and loading vans have bays of different heights. 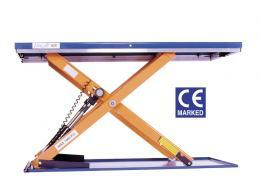 This particular scissor lift table is one example of how the ability to lower and raise the legs to different heights takes the stress out of having to bend, lift, load, etc. With this particular model, you can even have a pit installed into your dock floor at an additional charge to allow for even more range of motion. Scissor lift tables also work well in home improvement centres and anywhere heavy loading and unloading are a constant occurrence. They also support areas in which weighty items need to be moved up and down, palettes shifted and large items are constantly being rearranged to make room for more storage. 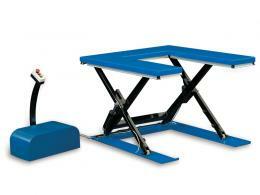 The scissor lift tables come in a wide variety of heavy-duty options. As you browse through the selection, you will see several different styles also available within the different individual items and we are happy to assist you to learn more about each one.